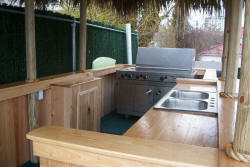 Just contact us to discuss all the options. 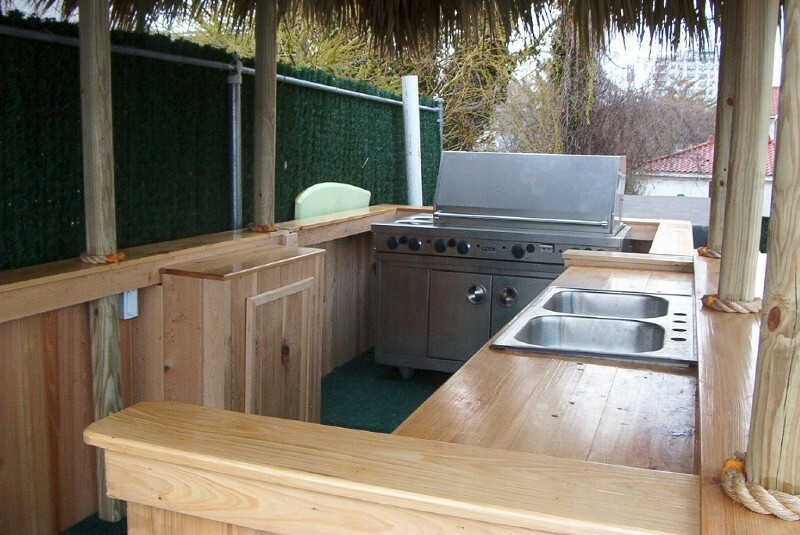 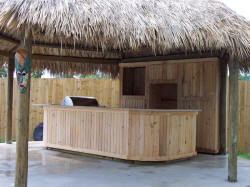 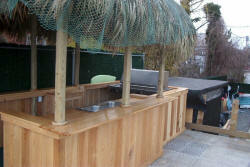 Need a Tiki Hut custom built? 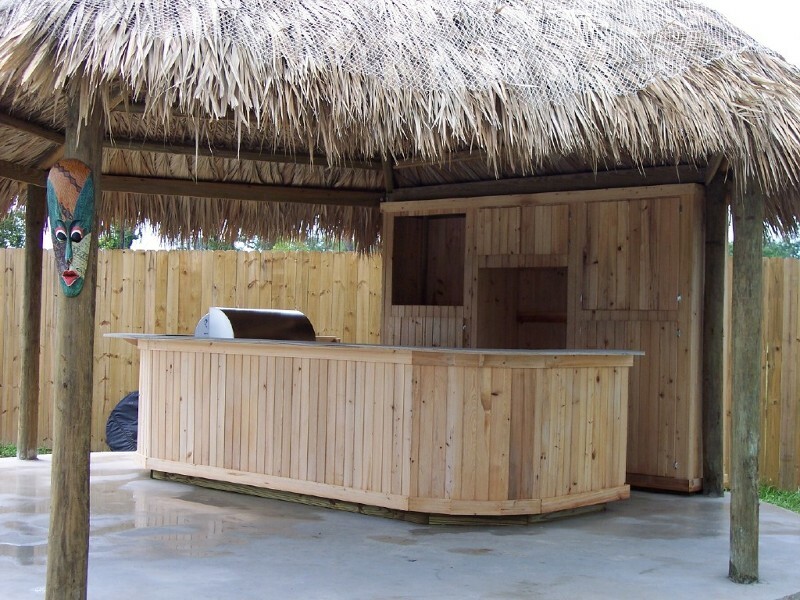 We build it for you and to your specifications. Here are some items you might like to add; sinks (single or double) , refrigerators, T.V., blenders, drawers, cabinets, lighting, footrest, shelves, speed racks, ice bins and more. 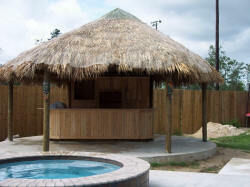 Cypress Tiki Huts & Furniture delivered only within 300 miles of zip code70607. 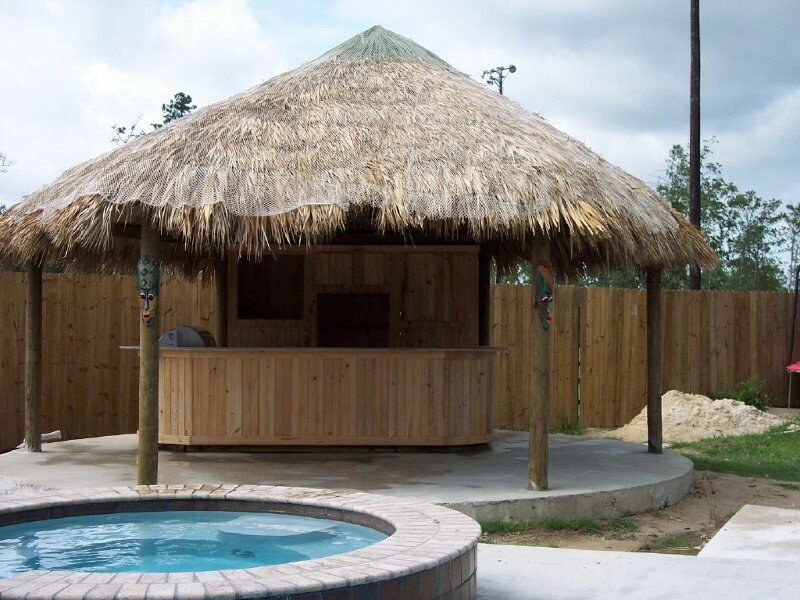 The Pentagon, 4' x 4', 4' x 6' Huts, Cypress chairs and replacement roofs can be shipped around the country (no HI, AK) via freight truck. 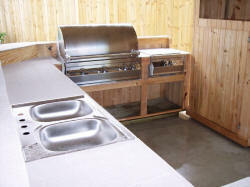 Customers can call freight companies for freight quotes and we will provide weights and dimensions. If you do choose to have a tiki hut shipped freight it will be your responsibility to set up your hut and most are over 800lbs.